Synesthesia, the translation or mixing up of sensations, often affects the way people see and experience colors, but what is the experience like ? 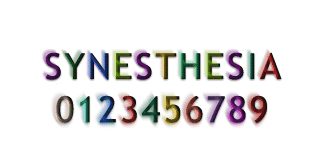 Wikipedia uses this image to illustrate how some syntesthetes experience, but not exactly see, their colorful numbers. Interestingly many syntesthetes don't know this is the way they see numbers or letters until they realize others don't percieve numbers this way. Back in February, Numberphile, a math and number centered YouTube channel, interviewed Alex Dainis, a gene researcher, media creator and grapheme-color synesthete, who discribed her revelation about her synesthesia. Her freshmen year in college, a professor asked if anyone saw numbers with colors and her gut reaction was to say no, of course not, numbers don't have colors but instead each digit, 0-9, was associated with a personality. But her moody and brooding 9, she realized felt that way not because she didn't get along with 9's but instead because her brain always showed her 9 in a dark marrow red. This video is a fascinating look into how an actual syntesthete experiences numbers in everyday life, and how this cross wiring influences what she feels is intrinsically right or wrong when it comes to numbers and objects in the real world. It also opened a flood of comments from viewers with the same condition but with completely different colors associated with each of their numbers. Thankfully all this data was handed over to number nerds. 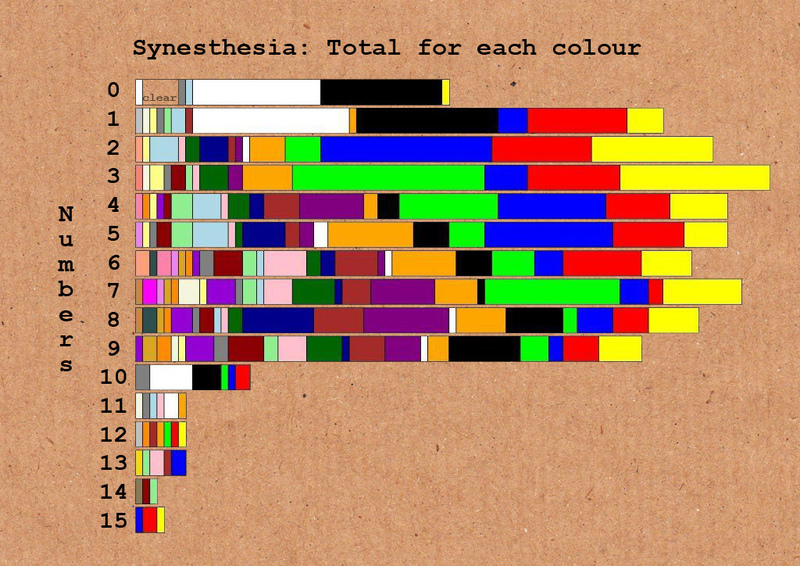 From that outpouring came these fantastic graphs which shine a light on how our brains tend to mix things up. With the data all laid out trends start to appear. The most universally common associations for 0 and 1 are black or white, but 0 can also be perceived as transparent. 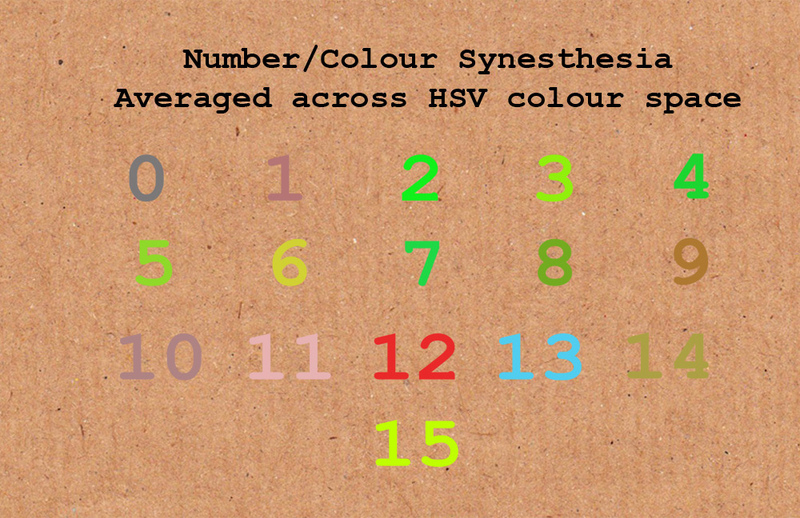 Another clear trend is that as the numbers increase in value so do the diversions in standard colorization. The three primary colors of red, yellow and blue, are all strong contenders for many of the numbers, but green makes up a large proportion of the votes. The associations get more and more complicated until we reach 10, or 1 and 0 together, in which black and white again dominate. The video was so popular with viewers, Numberphile recently went back to meet with Alex to ask her some questions. Here are some questions: Are you making it up? How do larger numbers look? What about primes? or Does your color association go both ways? This follow up video is great for anyone who has ever wanted to ask these types of in depth questions about Synesthesia and how our brains use color to categorize and label the world around us.